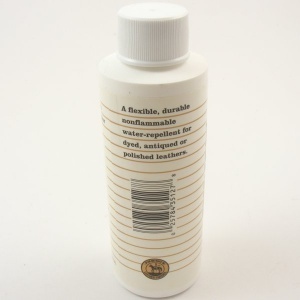 This is an acrylic finish for use on natural and veg tanned leathers. 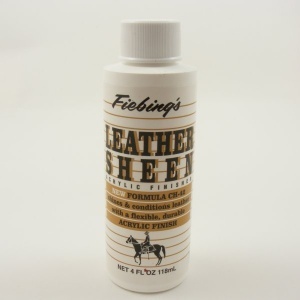 It's a flexible, durable water-repellent finish, ideal for use on dyed or antiqued leathers. To use, apply one light coat using a sponge, cloth or brush and leave to dry. For the best results, don't go over the same area twice!